In order to learn the hands-on skills needed to install fiber optics, you will need to acquire all the tools, test equipment and supplies necessary for the hands-on exercises. Make certain before you begin that you have everything you need - tools, test equipment and components. Download the list of tools and print a copy for your reference. It is a comprehensive listing and not all may be applicable to the work you do. Check with each lesson to see what is needed for that lesson. 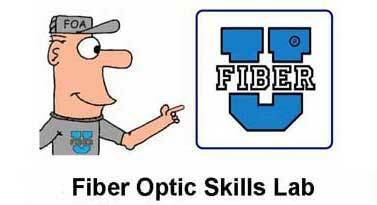 Learning the basic skills of fiber optics and the actual installation of fiber optics requires having the proper tools and knowing how to use them. These lessons will give you directions on what tools to use and how to use them. But first, you need to know what tools are required and how to take care of them. 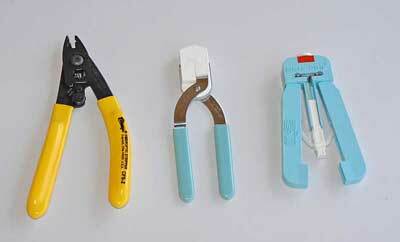 Here are some of the tools you use when working with fiber optics. A crimper is needed for some connectors. The jaws must be of the proper size. 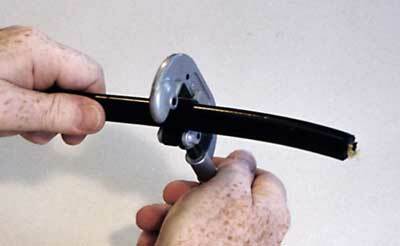 A simple tubing cutter cuts the outer jacket and armor on armored cable. 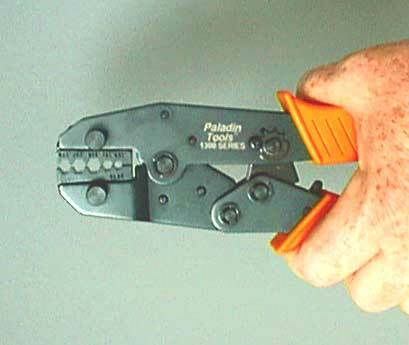 A small coax cable stripper is useful for cutting tubes in loose tube cables. In this table you will find a comprehensive list of tools needed by the typical fiber optic technician who will install and prep cables, splice and terminate them, then test the installed cable plant. We also include typical supplies for termination. We do not include heavy equipment used for pulling cables. You can purchase fiber optic tool kits and/or termination kits that are prepared by manufacturers for either generic use or to install a particular component, usually a connector. 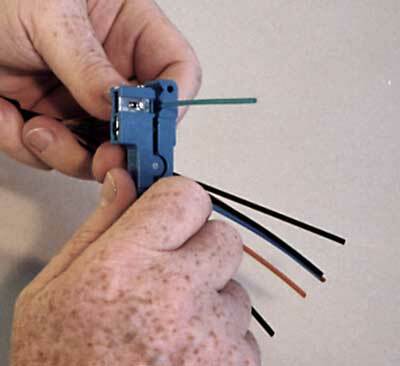 Connector termination kits provided by manufacturers are specific for their own connector type and installation method. Some of these may be replaced by the more generic tools we list below, but some connector kits will be required for proprietary connectors, especially prepolished-splice connector styles. Caution - be wary of cheap prices on brand-name tools. We have seen counterfeit tools being sold by distributors at low prices which are useless. Nothing is more frustrating that trying to accomplish something and having problems with your tools. Whether it is not being able to find a tool or finding a damaged tool put back in the toolbox without being repaired or replaced. Have you ever noticed how careful mechanics are with their tools? The right tools are absolutely necessary for their work and they know they must keep them in good condition and stored in the tool’s proper location when not being used. Tools are expensive - not just for mechanics but for fiber technicians too - so learn how to use them correctly and take care of them so they will work properly when you need them. Never, ever, go out on a job unless you have inspected your tools and test equipment back in the office and verified your tool kit is complete, your test equipment is working properly and you have all the supplies and consumables you need. A corollary of this is never take new gear into the field until you have tested it in the office and are familiar enough with its use that you will not have problems in the field caused by unfamiliarity with it. When I was in the fiber optic test equipment business, it amazed us how many help calls we got from customers who were at the job site and wanted to know how to use the equipment! Let’s get more specific. Start with your tools. 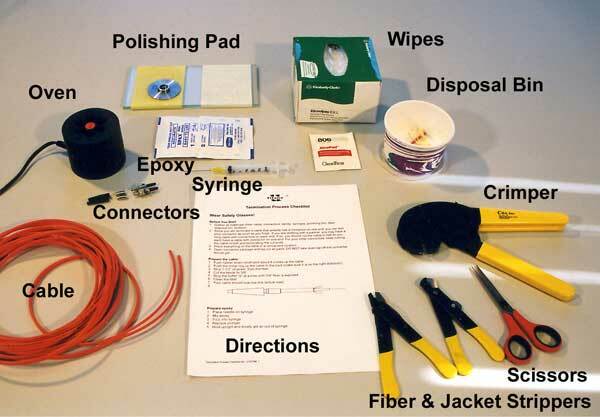 Clean off a table and open your fiber optic tool kit. Are all the tools there? Grab a notepad and list what you are missing. Even better create a list of tools you need and use it as a checklist so you don’t forget anything. In fact, I’ll include on the online version of this article at http://www.ecmag.com a list of recommended tools you can use as a checklist. And keep a copy of that list in your toolkit for reference. Some of your tools are bulletproof, but some are delicate and/or wear out. 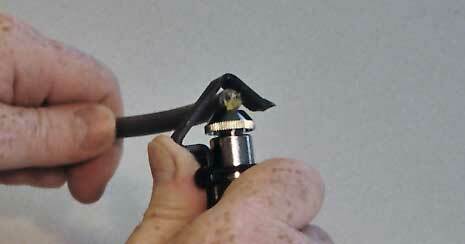 Check the condition of your fiber optic strippers and scribes in particular. They both should be carefully cleaned and inspected. Use a magnifying glass or loupe to check the working areas. Then get some fiber and test them to make sure they work properly. I recommend you have spares of these two tools in your kit since they do wear out or can be damaged, so spares are warranted. Most test equipment is battery powered, so having spare batteries and/or keeping the batteries charged is important. Check the condition of the batteries in each piece of gear, turn it on and make sure it works properly. If your gear has adapters for various fiber optic connectors, make certain that all those adapters are there and kept in marked plastic bags to identify and protect them. Find all your reference test cables and mating adapters. Grab one of your reference test cables and use it to check the operation of your connector inspection microscope. At the same time, you will be checking the condition of the reference cable connector. Does it look nice and clean and free from scratches? Reference test cables wear out after hundreds of tests, even when you clean them regularly, so use the microscope to check the condition of every connector on every reference cable and set aside those which look questionable. Next use your light source and power meter to test all those reference cables. Use a single-ended insertion loss test to determine if they are still in good condition, with a loss of well under 0.5 dB, and discard the bad ones or set them aside for re-termination. If you have a checklist, keep track of the loss and watch how the loss will increase as they are used more and more. If you have an OTDR and associated launch cables for it also, use the light source and power meter to check them too. Finally, check all your cleaning supplies. Make sure you have enough for the next job. If not, add that to your notepad list of things to order ASAP. Don’t wait until the next job comes up; order all the replacement tools and supplies you need now and be ready. Please Note: This is not the usual online course - it is intended to guide you as you learn new skills - the skills needed to install optical fiber cable plants. It involves using tools and components in a realistic manner. Some of the processes here can be hazardous, like working with sharp scraps of optical fiber and chemicals. The first lesson is about safety - we recommend reading it carefully and posting the safety rules for everyone to see. Always wear safety glasses when doing any of these exercises and dispose of all scraps properly. These guidelines are strictly the opinion of the FOA provided for educational purposes and the reader is expected to use them as a basis for learning. The FOA assumes no liability for the use of any of this material. In Lesson 1 you should have familiarized yourself with the safety procedures - follow them all the time. Do not work with fiber without safety glasses and a proper work area that is easy to clean up. It is recommended to not work on carpeted areas because fiber scraps can become imbedded in the carpet and be difficult to find and remove. Familiarize yourself with the safety procedures and follow them all the time. A pair of safety glasses must always be worn. Be careful when working with sharp tools. We recommend working on a black table mat to make it easier to see the fiber (and any scraps). It is best to work on tile or concrete floors, not carpet. If you drop fiber scraps into carpet they can be very hard to find or pick up with a vacuum cleaner. Clean up after your exercises carefully. Some of the scrap you generate can be harmful, such as fiber ends, so we recommend you not work anywhere near food preparation or children’s play areas! Place clean paper over your work area to keep from harming the worktable surface. Download a FOA safety poster for your work area. Watch the videos and/or read the references before going to the next lesson. All FOA "hands-on" videos show the use of tools, so videos will be referenced in each process lesson. CFOT Certification Lab Manual, all lessons.